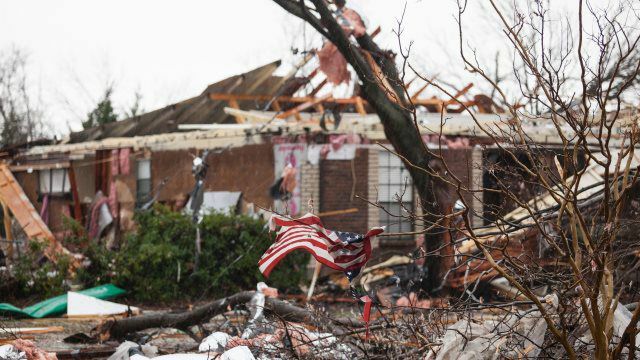 With so much in the news about dishonest individuals and companies taking advantage of homeowners ravaged by the recent tornado, we though it would be helpful to provide some insight on signals that will help you identify these scammers and avoid becoming victims of their unsavory methods. Check the Better Business Bureau listing for your area. If they aren’t listed as “A+” then consider that to be a red flag. Do they have a website? No? Red. Flag. If they do have a website presence, search for accreditations such as a GAF Master Elite accreditation. These contractors have been given this status precisely because they provide top quality work, and their membership in this exclusive club relies upon their continued delivery of top quality roofing services. Look for video testimonials. If homeowners are willing to go on camera and profess their loyalty for a company, that’s usually a positive sign that the contractor is on the up-and-up. Since time immemorial, contractors have had a reputation for being ‘shady’. One of the reasons this sentiment prevails is because homeowners continue to be ‘rooked’ by contractors asking for money up front, only to see the contractor ride off into the sunset with their dough, never to return or perform the contracted work. Moral of the story: Run the other way if your roofing contractor requires up front payment - even partial payment! 3. Never Allow A Roofer To “Eat” Your Deductible. Simply put, this is fraud, not only the part of the roofer, but on YOUR part too! When you sign your policy, you legally bind yourself to paying your deductible. It can be tempting when a roofer offers a brand new at no cost to you, but let’s face it, that money is being made up somewhere - usually in what gets put on your roof. Often times the roofer will use sub-standard products, or at least not the products you were promised, to make up the dollars they’re ‘eating’. You end up with less than what your were promised and deserve. In short, it’s illegal, and you end up with the short end of the stick any way you slice it!